Seriously! Look at it again…..
Is this not the coolest plaid you have ever seen without Sean Connery draped in it? You know who else is exceedingly cool? Laurie the marvelous Sewist who gave it to me just because I ooh’d and aah’d over it! Laurie, I hereby offer to set you up on a date with Mr Connery or the plaid enthusiast of your choice because you are too sweet!!!! Laurie, I thank you bunches!!! Now I must run back to the Plotting Chamber to stroke this fabric and coo…. Ooo… love it! Whatcha gonna do with it?! A little bunched up Vivienne Westwood number? Guess I’ll have to wait ’til you’ve finished stroking and cooing at least! 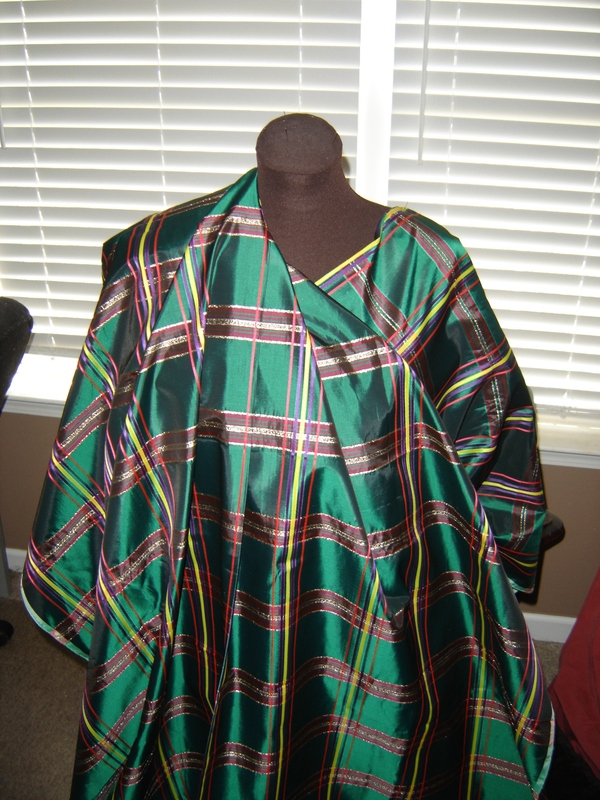 Oh yeah, and it’s kind of crazy that you posted about plaid today, since I spent an hour last night pinning my layers of plaid together so that I could cut out another version of that Burda blouse I made a couple of weeks ago in it. Oh, of course! Westwood! What else would be so perfect? I’m so channeling Helena Bonham Carter for this! Yes! I can so see that now. Send it back. Auch aye the noo! Wonderful colours and a great addition to your stash. Lucky you. I am so pleased that you like it, you really like it! Make something fantastic and enjoy it. When I was in school my dream was to be shiny and nonconformist! I see something different every time I look at it…very cool. Makes me want to re-watch Highlander. Perfect for sewing romm viewing! I’m in love with Sean Connery…yeah I know he is pushing 90 but his accent thrills me. I nominated you for a Sunshine Award, the deets are at my blog. If you want to accept that is. 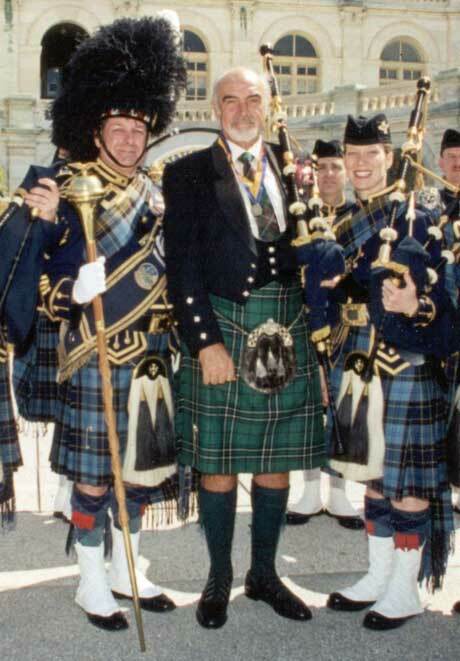 Sean Connery in that plaid is to die for. I feel a filthy bagpipe commeent coming on….